Things will be back in full swing soon. 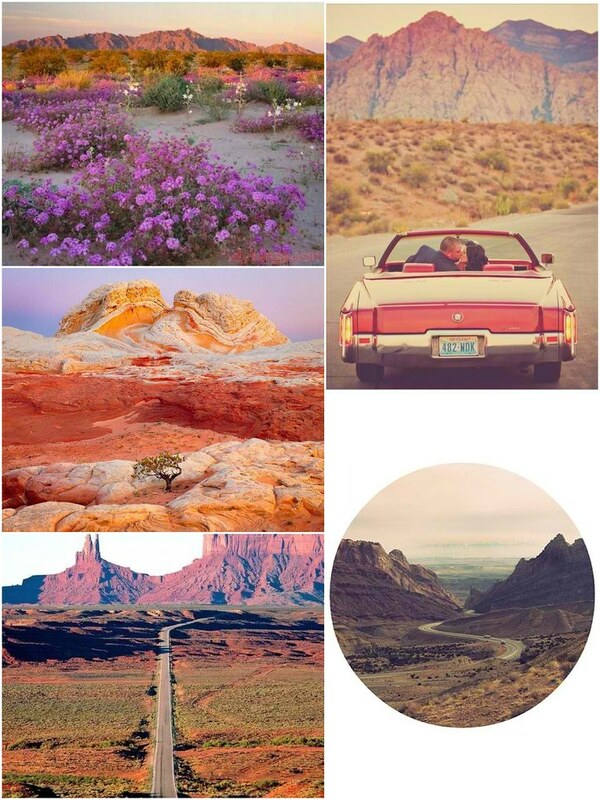 Lately I've been daydreaming of sunshine and desert flowers. I went to Arizona when I was 18 and drove from one end of the state at the Mexican border up to the Grand Canyon and Nevada and have never been able to get it out of my head. The beauty of the White Mountains covered in spring flowers, the towering cactus and the brilliant sun. Back then I didn't have a camera, just what I could carry with me in heart and mind back home. Lately everywhere I look I see pictures of the Southwest, reminding me of those things. I think you know what my next adventure will be now, hopefully sometime this year I'll go west again (and this time with a camera). beautiful pictures, very atmospheric. i'd love to visit someday! America is so gorgeous. Absolutely beautiful pictures, I would love to visit the US at some point! My thoughts exactly. I just got back from a road trip east bound and miss the beautiful calm of the desert. I went on a roadtrip from Denver to LA and back just before my 18th birthday, which is now about 7 years ago, and the glorious southwest has also captured my heart. I have the very best memories of it that will stay with me forever and will definitely be visiting the beautiful scenery again someday.